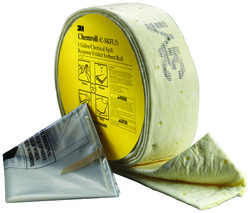 This spill kit can be used for containing and sorbing most hazardous chemical spills of up to 5 gallons. It is conformable, making it an excellent solution for storage where space is limited. Compact for easy storage, and ideal for rapid response.